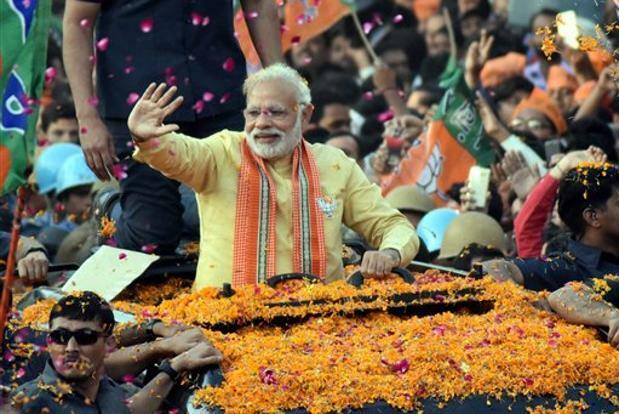 Prime Minister Narendra Modi is ready to kick-start the NDA’s election campaign for 2019 from a rally in Gurdaspur on January 3 at PUDA ground. The name for the Rally is finalised as Pradhan Mantri Dhanyavad Rally. State BJP president Shwait Malik and Sukhbir Badal, state presidents of BJP and SAD, held a coordination meeting recently in Gurdaspur in the presence of party’s national vice-president Prabhat Jha, who is also in charge of Punjab affairs. Shwait Malik said the PM would be touching various issues related to Punjab during his speech. A senior BJP leader said, “The PM will link the Kartarpur corridor, a vote-spinning issue as far as the Sikhs are concerned, with his visit. The main reason for choosing Gurdaspur can be because of Kartarpur Corridor in Dera Baba Nanak, from where the construction of the corridor is to start, falls in the district. Modi will also talk about the abolition of GST on langar by his government, sentencing of Sajjan Kumar in a 1984 anti-Sikh riots case, the construction of the Shapur Kandi Dam, and the 550th birth anniversary celebrations of Guru Nanak Dev,” he further said. According to Malik, the PM had decided to make Dera Baba Nanak and Sultanpur Lodhi railway stations world class before the corridor was opened. People of Gurdaspur has a lot of expectations from Prime Minister. The setting up of Railway Wheel Factory (RWF) on the panchayat land in Kalanaur, AIIMS and a Central government sugarcane and wheat research centre tops the wish list drawn up by the residents and politicians. Gurdaspur MP Sunil Jakhar said the PM should announce the reintroduction of the Freight Equalisation Policy (FEP) which, before it was abolished in 1992, used to provide a level playing field for industrial units throughout the country. Gurdaspur MLA Barindermeet Singh Pahra urged the PM to set up the Gurdaspur-Mukerian rail link which would reduce the distance between cities of this border belt and other parts of the country.